Discover the world of FinnSpa! There you will find detailed information on our products along with plenty of photos and various videos. 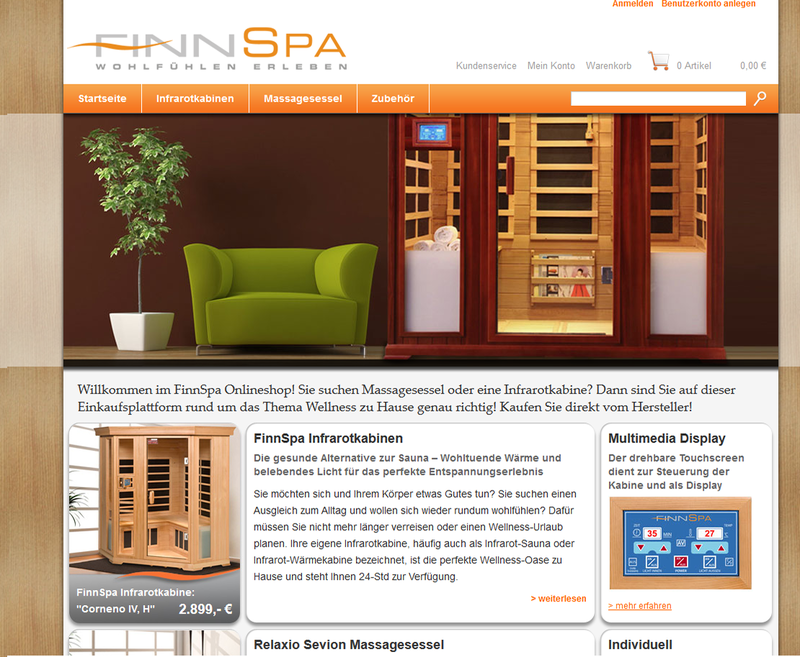 You can also learn about the history of the brand and view current news at www.finnspa.de. "Experience well-being" – the caption of the FinnSpa brand describes and represents an exclusive and intelligent range of wellness and well being products. Elegant infrared saunas and relaxing massage chairs reflect an innovative and concept-driven range of products and ensure perfect recovery after athletic and fitness activities. The FinnSpa wellness brand is an intelligent complement to the successful FINNLO brand. Product portfolio includes not only first class massage chairs and mats featuring Shiatsu technology, but also infrared saunas for up to four persons. Equipped with generously sized carbon heaters, FinnSpa infrared saunas provide pleasant, healthy heat, producing an effect perfectly tailored to the human body. Rounding out the product range is a wide assortment of wellness accessories such as foot massage rollers, aroma therapy lamps and relaxing fragrances.